America’s workplace – and workforce – are changing. The truth is, these questions are deep inside all of us – even if we don’t voice them. We need leaders who will authentically lead us based on truth, not tricks and tactics. Most leaders are frustrated – with their people, their progress, and their performance. 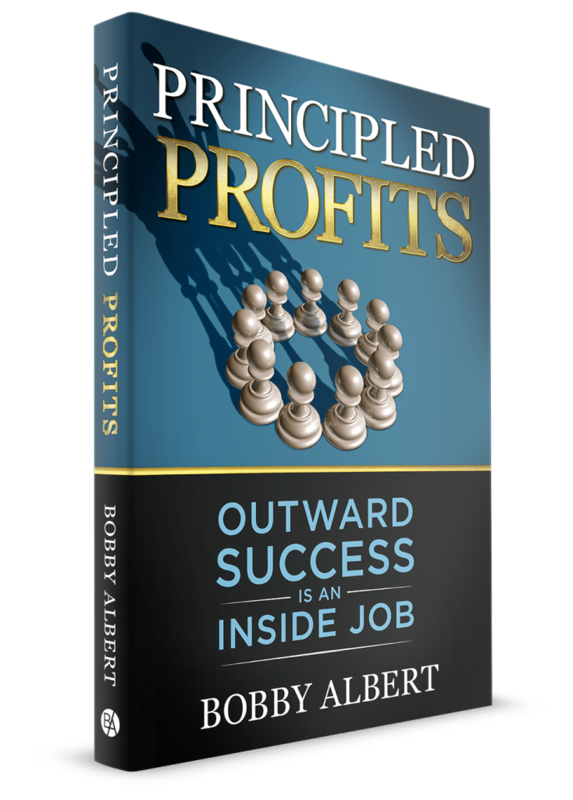 Principled Profits reveals how to build your organization on the firm foundation of clearly-defined core values. As you operate from proven principles, you’ll be ready to thrive in this Bold New Workplace and lead your people through any situation. And here’s the kicker–you’ll be setting your organization up for previously unattainable success. 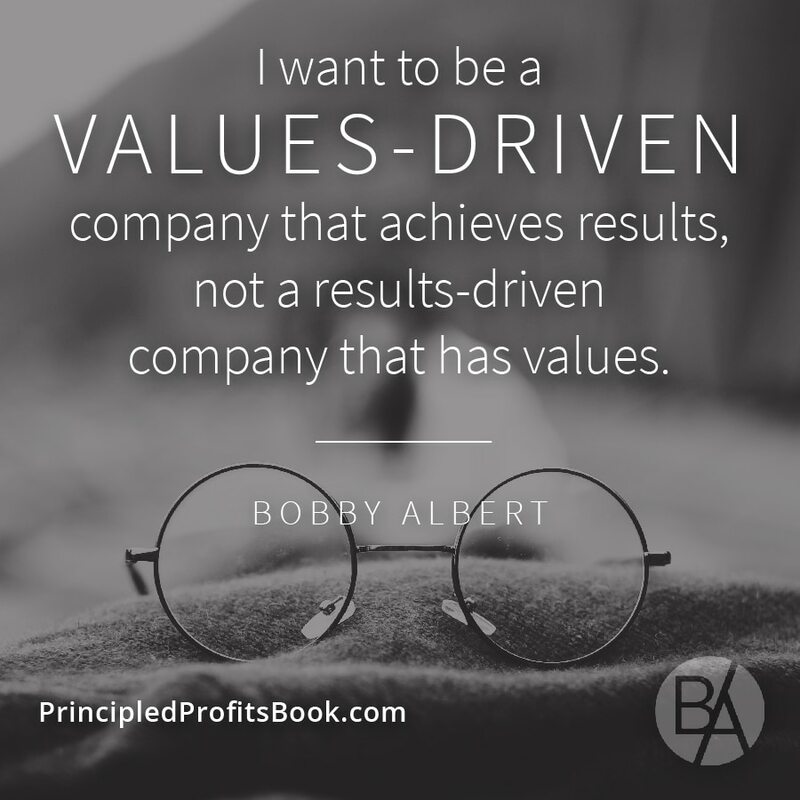 When you purchase Principled Profits at an online retailer, you’re entitled to a FREE BONUS download of Bobby’s Values Discovery Worksheet! 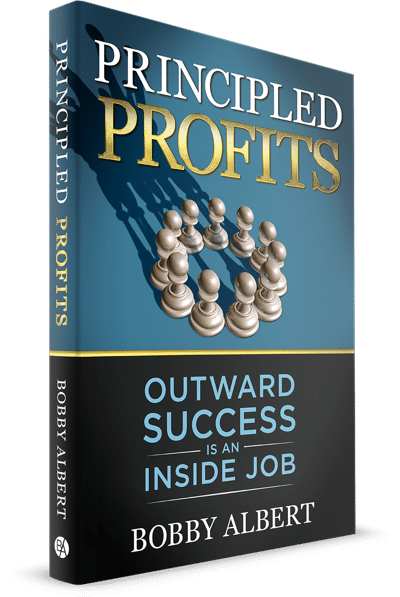 Order a copy of Principled Profits and claim your claim your six-page, Values Discovery Worksheet valued at $29! Your core values define who you are, and how you respond to situations and interact with others. 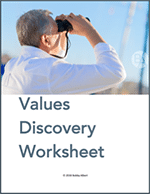 Use our Values Discovery Worksheet to discover and clarify your own core values. This six-page document will guide you through the entire process. If you’re like most leaders, your hard work isn’t translating into the results you desire. What if you could achieve more than you ever thought possible -by changing your approach to leadership? 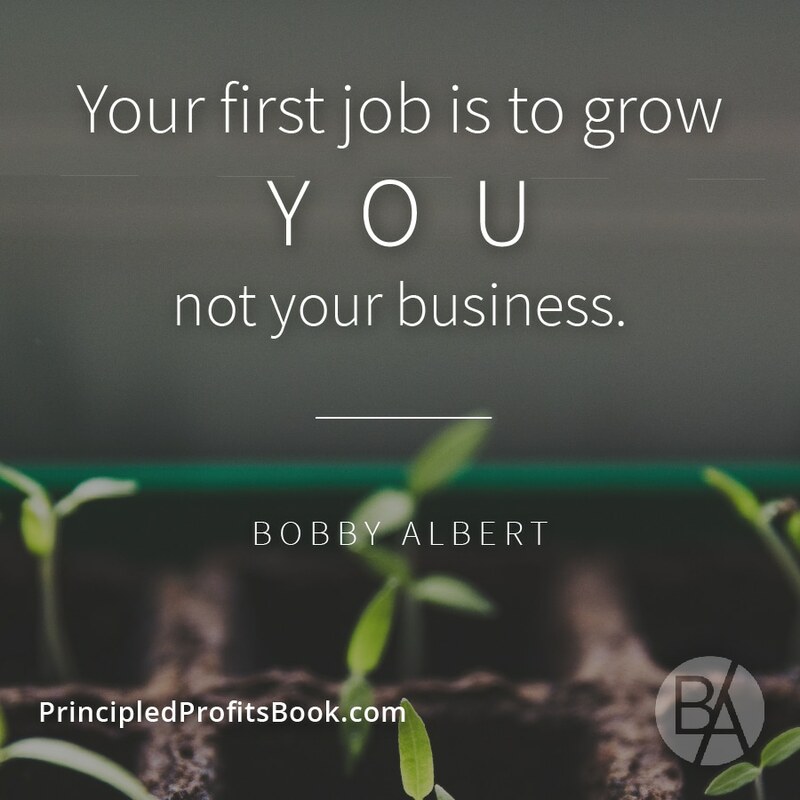 Bobby Albert offers the eager leader a proven path to growth and significance. 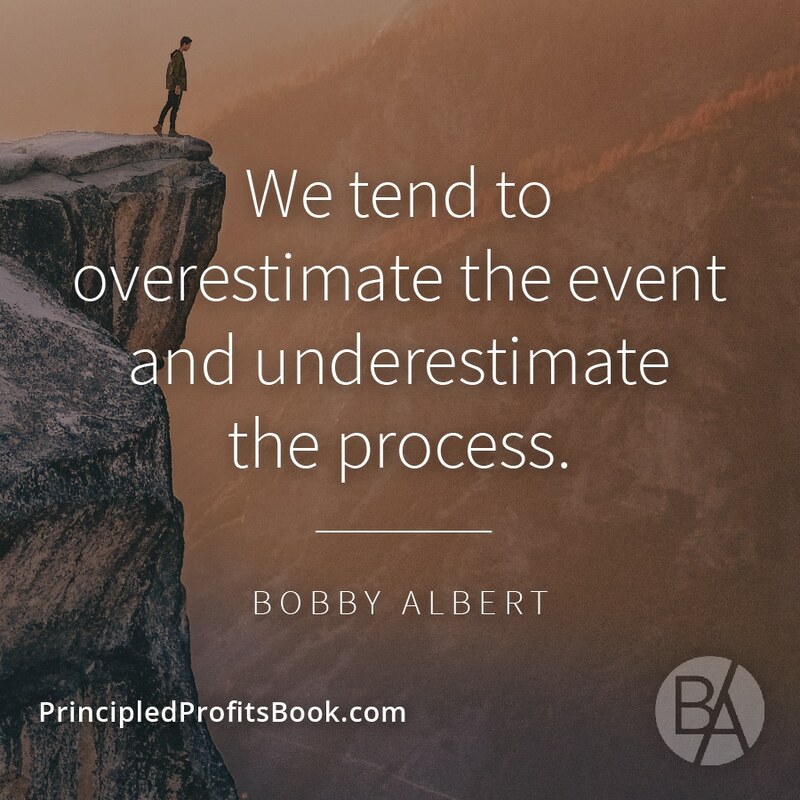 Bobby Albert led the Albert Companies to unprecedented growth—and he did so during one of the most challenging economic periods of our lifetime. His unique leadership, coupled with an unending desire to learn, enabled this CEO and his team to grow revenues and profits by 500 percent between 2005 and 2011, the year he sold his business to a publicly traded company. Using a values-driven approach, Bobby created a unique and special workplace culture. The Best 100 Companies to Work for in Texas awarded their coveted designation to the Albert team for the first two years they applied for consideration. He is currently president of Values-Driven Leadership, LLC. He helps other leaders build inspiring workplace cultures through values-driven leadership. 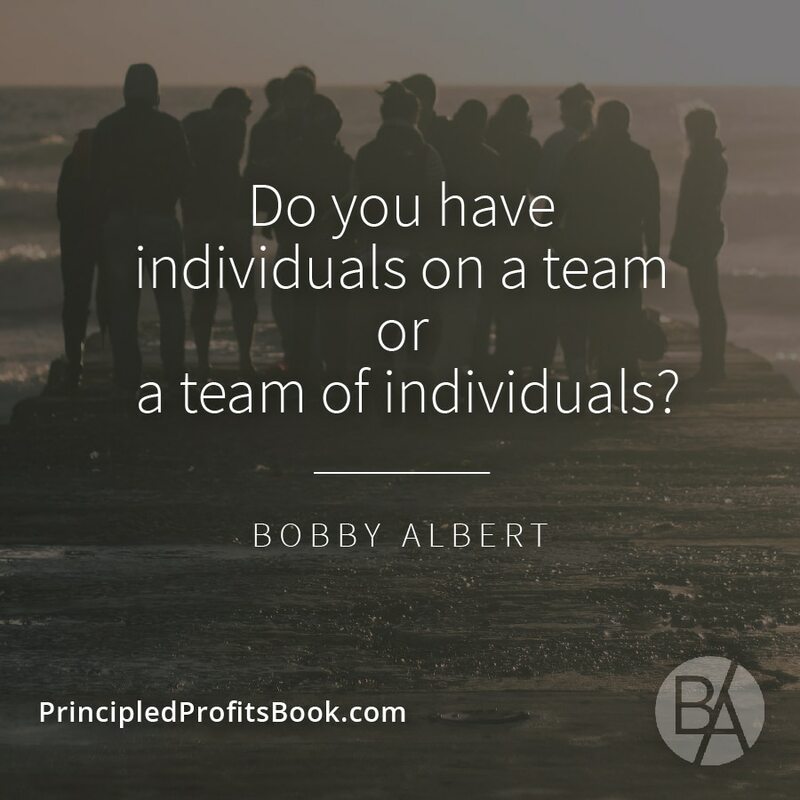 Bobby writes, speaks, and consults with key leaders to share the principles and practices that he used to grow his company from five employees to an organization of more than 150 team members. 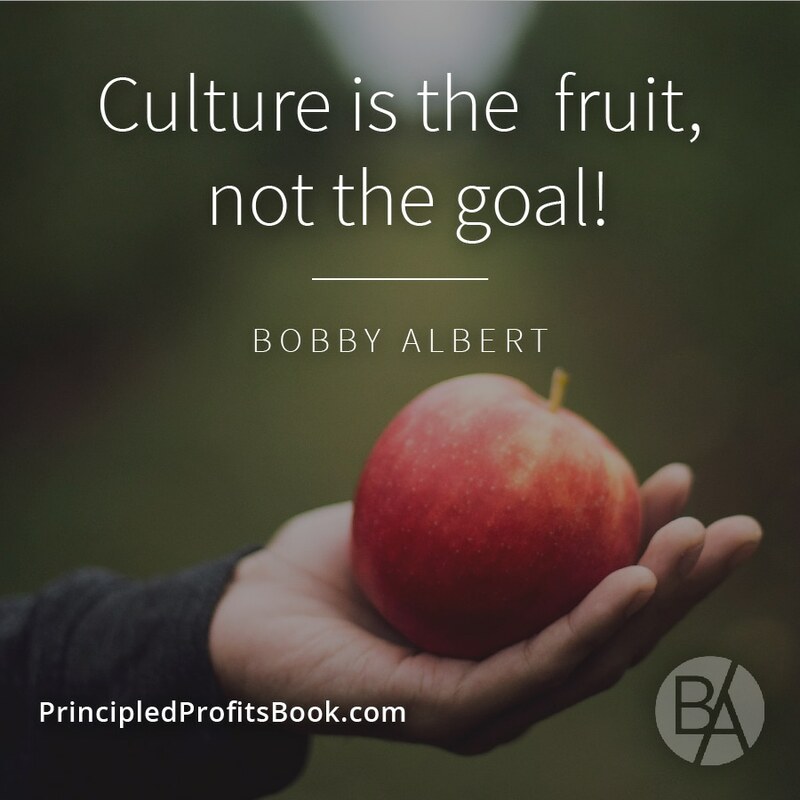 As a regular contributor on Fox News Radio, Bobby provides insight on leadership, workplace culture, and employee engagement. In my role with the John Maxwell Company, I’ve learned and lived leadership with the best of the best. 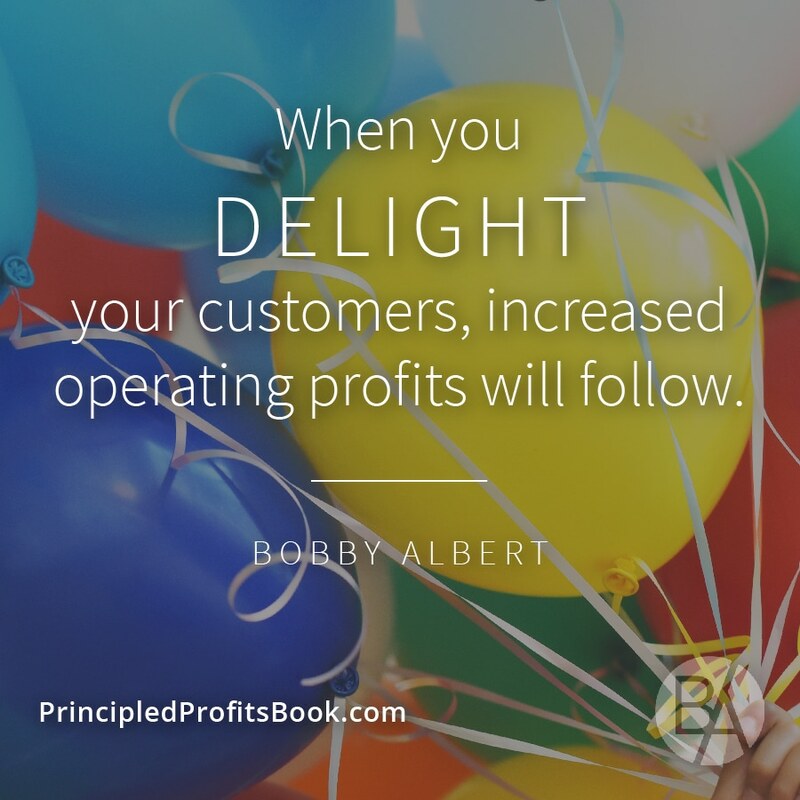 That’s why I so am excited about Bobby Albert and this book, Principled Profits. This book reveals a proven path to exceptional success. 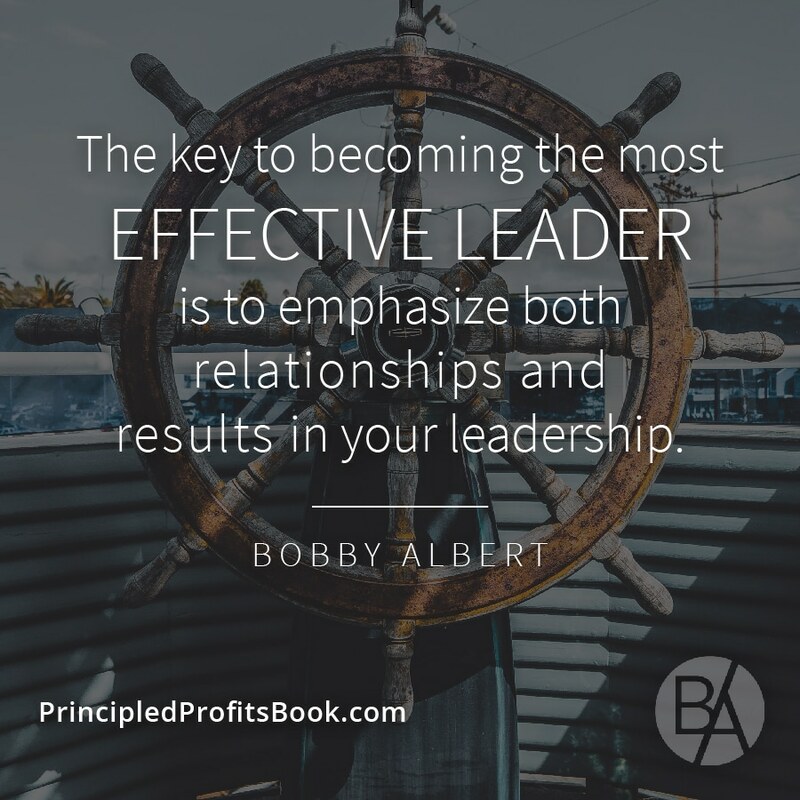 Bobby is truly a leader of leaders, and his book offers you a roadmap to values-driven leadership and success. Outward success is indeed an inside job! Once in a great while, I encounter a leader of leaders. A person who thinks more deeply and has a greater impact than most of his or her peers. 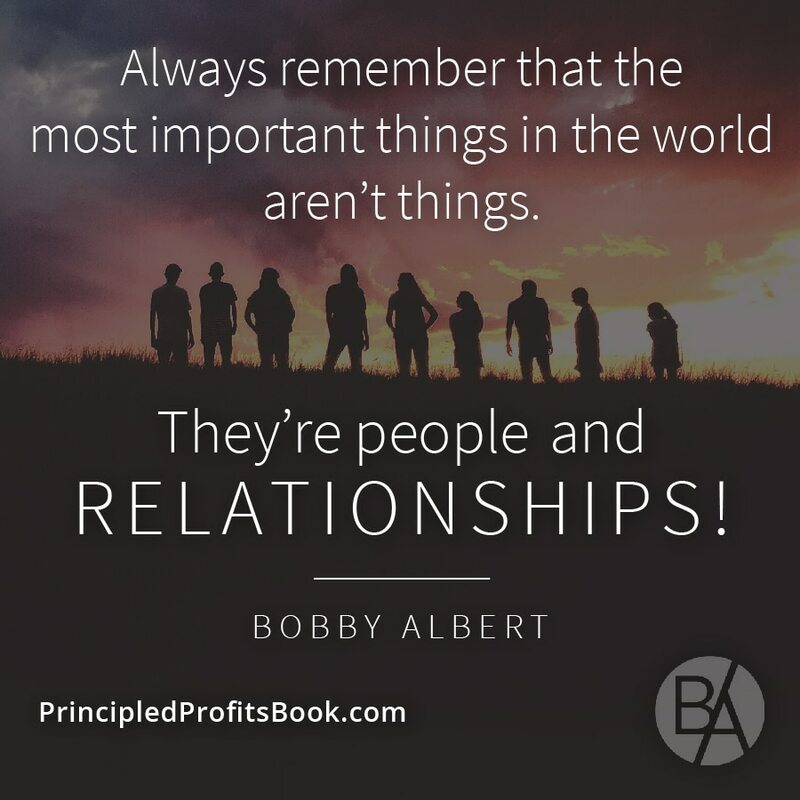 Bobby Albert is such a leader, and his book, Principled Profits, confirms that fact. Are you a leader who wants to lead your people to meaningful success? Then this book is for you. The leaders who build enduring organizations, ones that have a real and lasting impact, are not simply lucky. They follow certain unwavering principles. 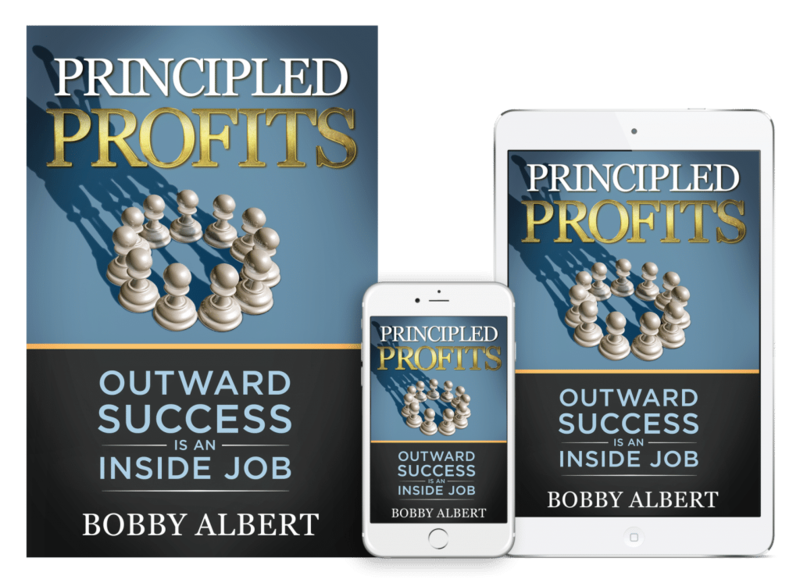 Bobby Albert presents these principles in Principled Profits, drawing a clear roadmap to meaningful success. The truths contained in this book capture the very essence of how Bobby lived and led as he grew his own organization. Grab it, read it, and apply it – you’ll be amazed at the fresh impact you will have as a leader. To share, click on the image, and right click to save to your computer. 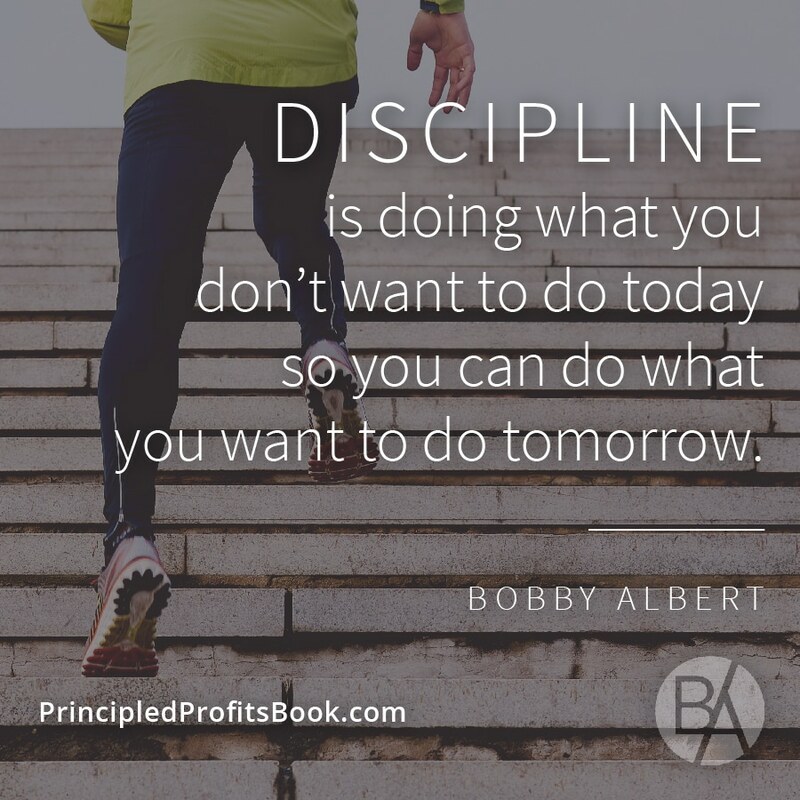 Then upload the image directly using the url PrincipledProfitsBook.com to share. 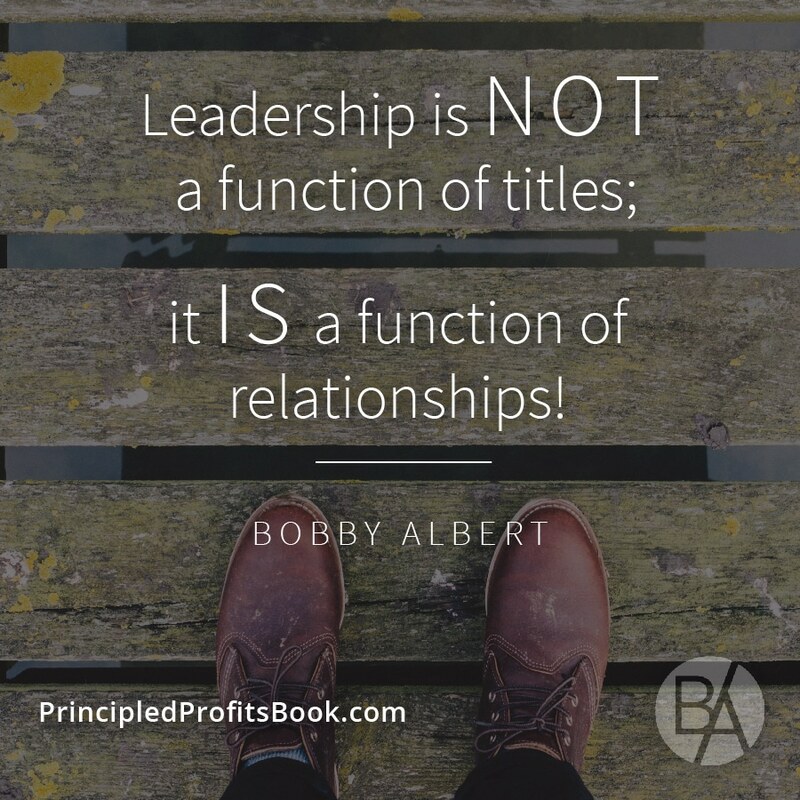 © 2019 Bobby Albert / Values-Driven Leadership, LLC. All rights reserved.